Going anywhere with a baby is tough. Strapping my 2 year old into the car seat is hard enough, but then I have to deal with a multitude of straps to make sure he is secured in the vehicle. Then, once we arrive he has to be picked up to move into his stroller. The whole process repeats when we go back home. After doing this for about two months I knew that there must be a better way. So, I started doing some research – I knew that there must be some kind of convenient travel system that was specially made to help parents like me have an easier time while lugging around their kids. What did I find in my research? It’s difficult to find an entire system that includes a high quality car seat and a stroller that work together. However, I eventually found the Chicco Cortina KeyFit 30 Travel System which is exactly what I needed. The whole system includes a top of the line car seat with great safety features AND a convenient stroller that the car seat easily snaps right into. It is one of the most effortless ways to take your child with you wherever you go. What kind of qualities should a child travel system have? So, let me tell you a little bit about how the Chicco Cortina Keyfit 30 Travel system absolutely blew me away in all of these areas. The Chicco travel system comes in three parts. First is a car safety seat – second is a car seat base – third is a travel stroller. The three work seamlessly together. You attach the base of the car safety seat to your vehicle’s back seat and it stays there. That makes it incredibly easy to move the safety seat in and out of your car, since you just attach it to the base. You don’t have to spend 20 minutes figuring out a complicated system of belts and pulleys every time that you want to put the safety seat into the car. Just snap it into place on the base and go – it’s ingenious! 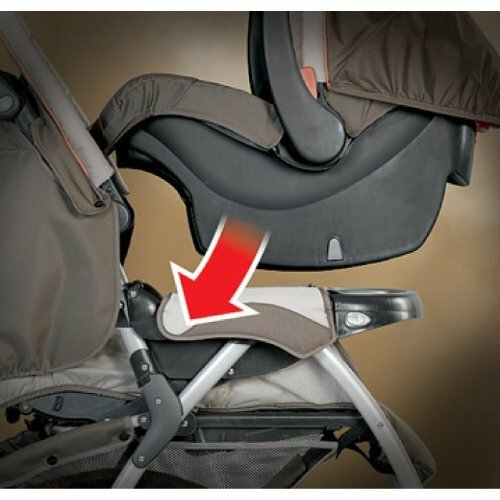 Then, when it’s time to take your baby out, you just detach it from the base (the base stays in place attached to your vehicle’s seat), and move the safety seat into the stroller. 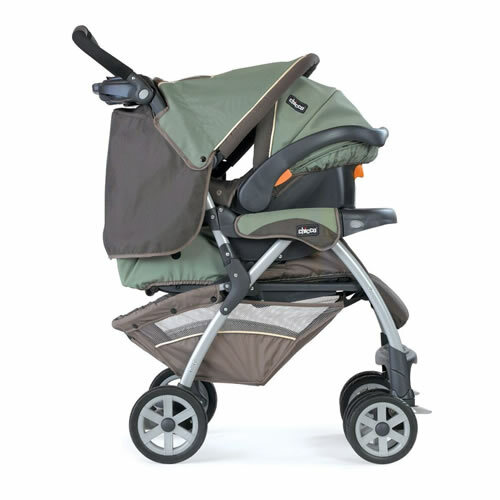 It snaps seamlessly into the stroller so you don’t even have to worry about waking up your baby when they’re sleeping. Plus, if you don’t feel like snapping the seat into the stroller, you can simply carry the seat around just like a high quality baby carrier. Also, if you just need to use the stroller and don’t want to deal with the car seat for any reason, the stroller has its own built-in seat. It is the absolute easiest way to move your child from place to place with very little effort and the utmost convenience. The stroller folds up so it can be packed almost anywhere. The whole system is so simple and effortless to operate, that it can be handled by a single parent in just minutes. It makes traveling with your child so much easier. Instead of purchasing a car seat, baby carrier and stroller, you just need to buy one Chicco Cortina travel system. Chicco is known throughout the market for producing some of the highest quality products with incredible safety features. First, the car safety seat uses a 5 point harness which is recommended by safety experts all around the world. It wraps around your baby in five important places – over both of their shoulders, both of their thighs and in between their legs. It is the optimum method of keeping your child snug and tight, providing both comfort and safety. The car seat is lined with safety foam that is designed to absorb the impact in the event of an accident. It has deep sidewalls that surround your baby’s head for even more protection. The seat has a special insert that makes it safe for babies all the way down to 4 pounds! Plus, it can safely secure a baby all the way up to 30 pounds. With a normal stroller, you simply strap your child in using a flimsy belt. Normal strollers give your child almost no protection. 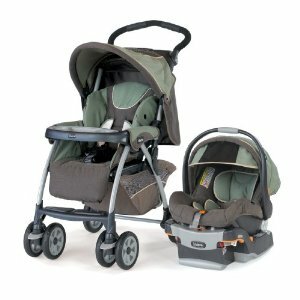 The Chicco Cortina Keyfit 30 Travel system stroller is unique in that the car seat attaches directly into the stroller, so all of these great safety features are in place when you are pushing your baby around. Most baby safety seats are incredibly complex. You have to spend about 30 minutes just to get it installed correctly into your car. The Chicco Cortina system is different – you can install the base of the safety seat into your vehicle in just about a minute. You can use the convenient LATCH system to quickly clamp the base into place or you can use your vehicle’s shoulder and lap belt to secure the base. Either way, it is extremely simple. After the base is installed, you simply snap in the safety seat which takes just a moment. You won’t have to stand around looping and threading belts to the safety seat whenever you want to go for a trip. Consumer reviews: What are real customers saying? While I was researching travel systems for my child, I found that the best price for the Chicco Cortina system was at Amazon.com, one of the largest merchant websites around. The price at Amazon is consistently about $50 less than anywhere else. Plus, Amazon offers you free shipping AND free returns on the Cortina system (not that you will need to return it, but free return gives you some peace of mind). Where can you read more reviews for Chicco Cortina KeyFit 30? Check out Amazon to read even more reviews written by customers that have used the Chicco Cortina Travel system to see if it is the right choice for your family.